2017-02 Could Chiswick benefit from idea which saves you bringing your bike into the house? 2017-7 Attention cyclists, The Bike Port is here! 2015-02 Find some Lovehoop love in London this Valentine's Day – and you could win a bike! 2014-05 Builders push homes for cyclists – but with government set to drop cycle storage requirements, what’s the reality? Bristol is the latest city to demonstrate a commitment to supporting sustainable modes of travel with the installation of their first Bikehangar in the City. 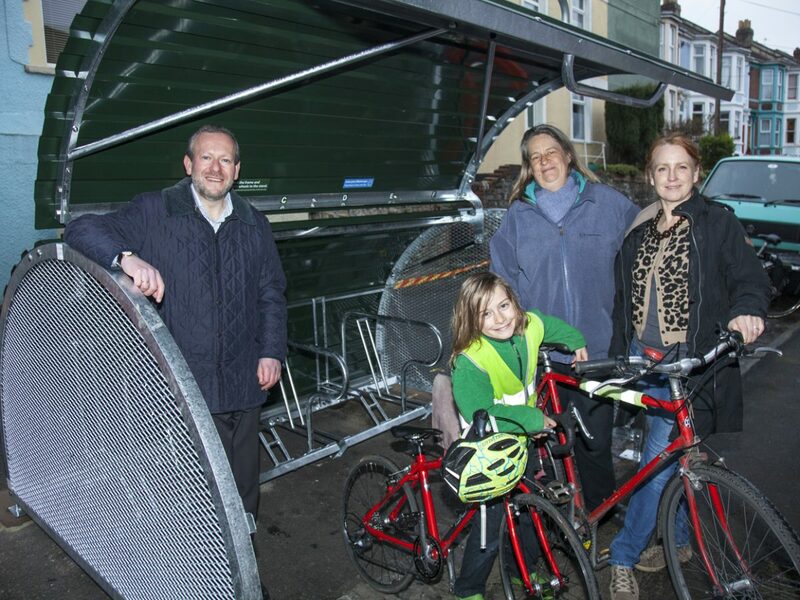 Eldon Terrace in Bedminster is the home of the first Bikehangar in the city, it has space for six bikes replacing just one car parking space and is available for local cyclists to use. The Hangar was funded through a successful bid to the Local Sustainable Transport Fund’s (LSTF) Active Communities Grant by residents. Spaces in the hangar cost £25 to rent for a year.